I had a hell of a time trying to find a copy of this book to buy which is a story I'll leave out and unfortunately it ends with me not being able to buy a copy. However one thing I want to mention on this is that at the time of this writing there's some bookstore in the US trying to sell it for $1,500 on Amazon.com! No joke, typo, or mistake. I even emailed them to confirm. Let's be real, this book is not worth $1,500 and this is coming from me who loves Lao books. No doubt, this book is really interesting and informative. 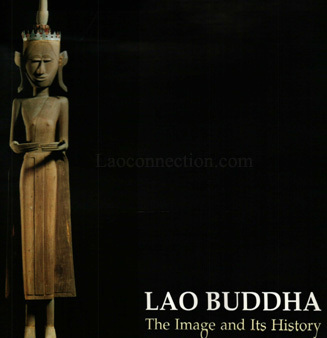 It's also the first book I've been able to find that focuses on Lao Buddha images exclusively and written in English (others I found tended to be written in French) but it's not worth more than $100. In fact when it was first released in 2000 it was being sold in the $85 range which is more reasonable. If you're curious how I was able to find a copy to write this review, I did an inter-library loan through my local library that was able to source the book from a university. I had to pay a nominal fee of $14 which I gladly handed over for a chance to read this book. I encourage you to do the same should you not be able to find one for sale at a reasonable price. It's a gorgeous hardcover, oversized, full color book, filled with text and tons of images of old Lao Buddha statutes and a section on mini Buddha statutes (the book calls them midget Buddhas). Reading this book made me realize that you could essentially tell part of Laos' history through its art. 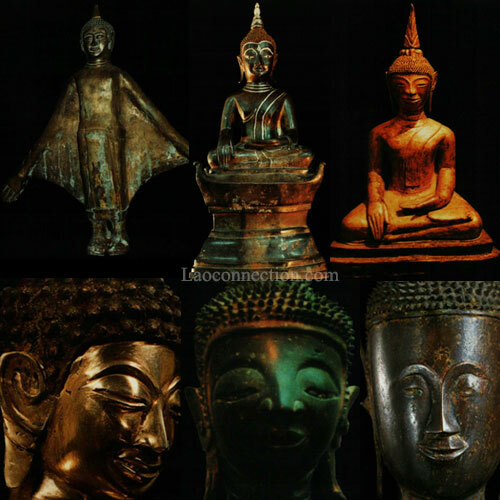 Since each type of Buddha, and through carbon dating and other such methods used to date artifacts, help us to identify when and sometimes where the statute came from which leads us to the period and under which kingdom it would have been created from. You can bring it all together into a linear fashion as this author has done so wonderfully in this book. For comparative analysis it includes some smaller sections on Buddha images from Laos' neighbors including Thailand, Burma (Myanmar), and Vietnam and their former kingdoms that existed. The intertwining of all the various kingdoms through the ages and how that affected Lao artisans and how they in turn created Buddha images is fascinating. Written by a Thai author and researcher, he did an incredible job compiling Lao Buddha images and background information. I do recommend it. Side Note: There's been an increase in Thai writers and researchers publishing works on Laos and Lao culture in the past 5-10 years. It's an interesting and positive occurrence especially when it's done in an impartial way. I searched for a long time and eventually managed to get a copy (for less than USD100) at Chutachuck (?) market in Bangkok. The guy who ran one of the antique buddha shops there was able to get it for me. This is wonderful to hear! Thanks for sharing. It's a gorgeous book isn't it? This great book is indeed hard to find, there were only 1000 printed in Thai language as stated and probably also 1000 in English (not stated in the book). The author had a Buddha museum in Bangkok, which is now closed but will reopen later this year or next year around Pattaya. Of course when a book is out of print and more popular than before you have to pay more. If anyone looks for a copy i maybe can help, its available in Thai and English, illustrations are the same, so anybody who wants it only for the pictures maybe goes for a more reasonable Thai edition with the same layout and quality. Sabaidee Manuel, thanks for mentioning these additional tidbits of information. Very interesting and helpful! Hello.I'm looking for a copy of this book. could you help?